Unique angle of Duomo, Florence, Italy. 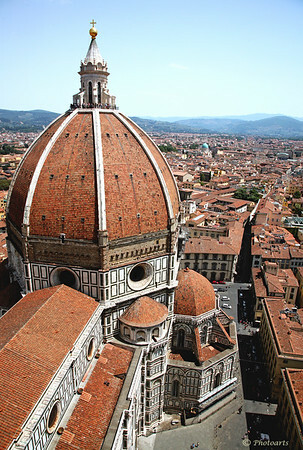 Great shot of the famous Duomo! Superb shot and I love the design! I so want to go there. Lovely shot. Well done. Great view of this beautiful old city!